Soon after the Samsung Galaxy A40 renders leaked today. The new mid-range Galaxy A40 smartphone from Samsung silently went official in the Netherlands, Europe. The Samsung Galaxy A40 can now be found listed for pre-order sale on the Dutch retailer Belsimpel online store for € 249, around Rs. 19,500 INR. The listing also reveals the full specifications of the Galaxy A40. Which includes, a 5.9 inch 2280×1080 pixels display and Exynos 7885 Octa-core processor coupled with 4GB of RAM and 64 GB storage. The storage is also expandable using a micro SD card. The Galaxy A40 runs on Android 9 Pie out of the box. In the camera departments, the Galaxy A40 bears a 16 megapixels main camera, up front, there is a2-megapixel selfie camera. The rear main camera also supports 4k video recording. There is a 3100mAh battery on the device. The Galaxy A40 falls between the recently launched Galaxy A30 and Galaxy A50 smartphone and features almost an identical design. 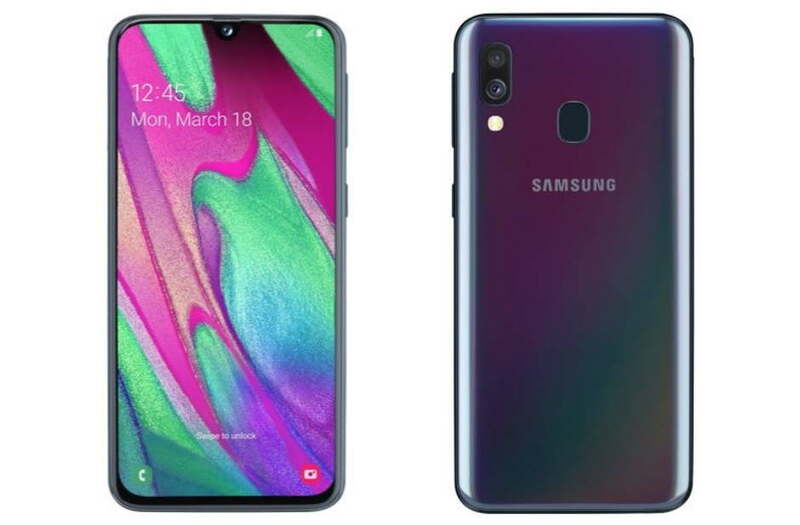 Recent renders of the Galaxy A40 have revealed that the phone will be available in black, blue, coral and white color options. As for now, the Galaxy A40 is listed in Europe only and we don’t when Samsung has the plan to launch the new Galaxy A40 in other parts of the world.